Two equestrian centre workers and a vet were part of a horse drugging plot to cover up lameness and behavioural problems before selling them on, a court heard. Charlotte Johnson and Aniele Jurecka, both 28, allegedly used their own vet, David Smith, to carry out “inadequate” examinations of the animals before they were sold. Some of the horses were advertised as being docile and ideal for new riders. But after the sedatives wore off, horses were found to be uncontrollable and unsuitable for junior riders – which often led to falls and injuries. Prosecutor Dominic Connolly told Maidstone Crown Court last week a large number of horses had been sold and “misdescribed” in a criminal way. He said: "The Crown's case is those adverts grossly misdescribed horses being offered for sale. "Representations are made as to their physical wellbeing and their calm and placid demeanour, and their suitability for first-time riders when, in fact, they had significant behavioural issues which made them entirely unsuitable for novice riders. "On a number of occasions that resulted in a number of falls and injuries." Physical ailments and behavioural issues were masked by the use of sedatives before the horses were inspected and tried out, he said. Mr Connolly added: "As a result, they were sleepy, apparently docile and placid. "It was only after the purchase when the effect of the sedatives began to wear off that the true nature and temperament of the horses were revealed. "A number of the horses were lame." Mr Connolly said prospective buyers were tricked into using vet David Smith, 66, to carry out the tests, instead of an independent practitioner. He said: "The Crown say Mr Smith was fully aware of the conflict of interest. "He was motivated by personal gain - namely his fee for carrying out the examinations." 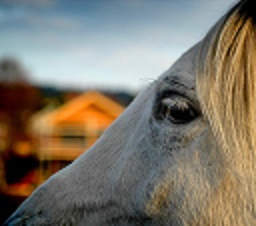 An example was given of one mother, who went to see a horse in October 2008 to buy for her ten-year-old daughter. The horse was described as being a "saint, bomb proof in all ways, a babysitter on four legs and no vices", Mr Connolly said. The mother was assured by boss Jurecka, known as Annie, it was suitable, and she agreed to buy the horse and was given a two-week warranty. But when the mother got the horse home she found it was lame, behaved badly, bucked and ran off with her daughter. Johnson, of Marden, Jurecka, of Tonbridge, Kent, and Smith, of Finglesham, Kent, all deny conspiracy to commit fraud between June 2008 and December 2013.